The Gennas were Sicilian brothers who occupied the Taylor Street section of Chicago, known as Little Sicily. Mike (Michiele), James (Vincenzo), Peter (Pietro), Sam (Salvatore), Tony (Antonio) and Angelo. Nicola Genna, the last brother, stayed in Sicily. Sam (Salvatore) and Peter ( Pietro) arrived in April 1906, having been sponsered by a brother in law and both being described as farmhand/ labourers. 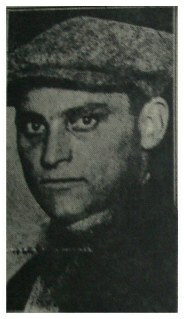 Angelo Genna arrived fom Marsala Sicily in August of 1914, to join his brother Peter and others who now lived in Chicago. Mike was known as "the Devil" for his explosive nature. The Genna brothers were the sons of Antonio Genna Sr. and Maria Concetta Utica . Peter was a saloonkeeper on the westside and James had run a blind pig (illegal drinking establishment) near Taylor and Halstead. 1923 Chicago telephone directory. We can see that the Gennas have several homes and establishments. James runs a cafe at 1022 Taylor, which also serves up alcohol. 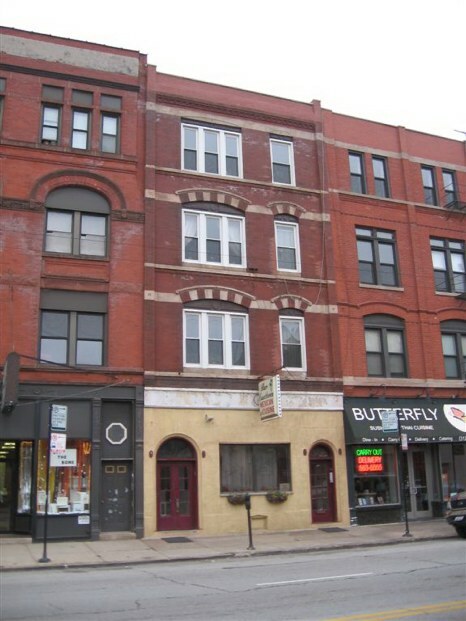 Sam runs a billiard hall at 856 Blue Island ave which is also the headquarters for the gang. James lives at Lakeside place in which the famous family photo was taken below. Sam was the poilitcal fixer of the gang, while Angelo and Mike were the enforcers. 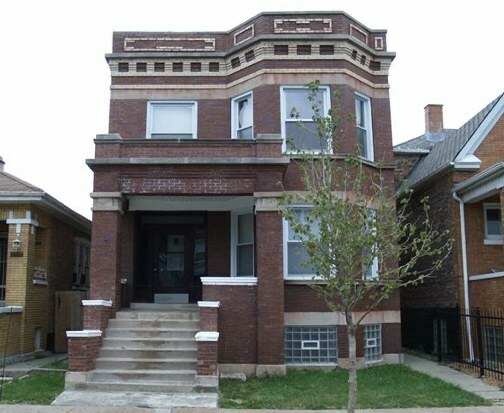 Sam, Mike and Peter all lived together at 750 West taylor street in a three story building. The Spingolas also lived in this same building. 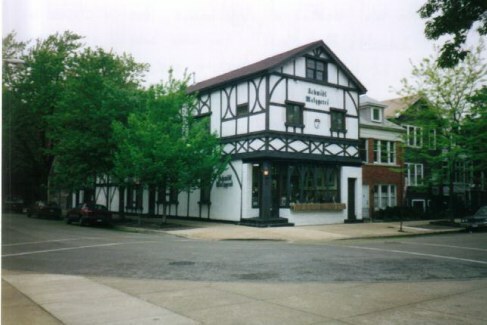 Angelo was living at the Belmont hotel at Belmont Avenue and Sheridan road. Tony had a home at 5556 South Troy street. 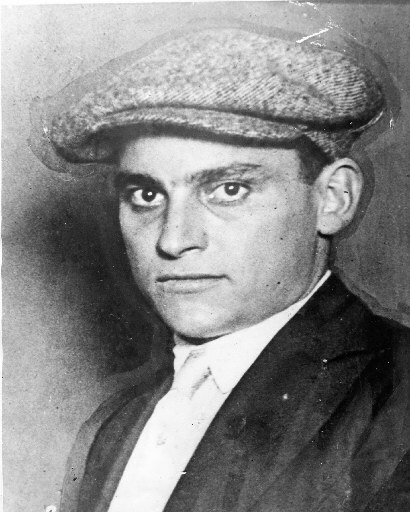 Mike Genna, along with Alberto Anselmi and Giovanni Scalisi had a shootout with Bugs Moran, and Vincent Drucci at Congress and Morgan streets. James Genna lived at 925 Lakeside place. The Gennas were the kings of corn sugar alcohol. They had the grip on distilling and selling it. They made their fortunes by hiring newly arrived countrymen into distilling alcohol with makeshift stills set up in each tenement room. Many of these tenants under the strict employ of the Gennas were killed when the still sometimes over heated and exploded, spitting shrapnel and volatile alcohol. Because of the high risk involved, some were paid a wealthy $15 a day, and others did it to pay back money owed from a previous loan from the Gennas. 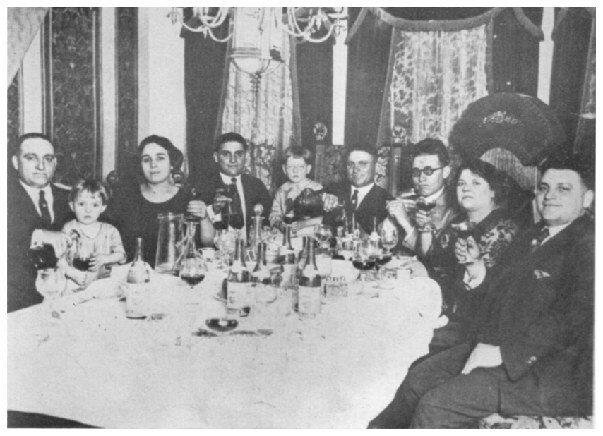 (Loansharking) The Gennas had formed a Marsala club which linked them to their fellow countrymen who had arrived in Chicago from Marsala, province of Trapani, Sicily. Anselmi and Scalise belonged to this club. When the Gennas first arrived they had set up a cheese and olive oil distribution company to sell these commodities to their fellow immigrants. This was practice was popular as the Lombardo's, Aiello's and LoLordo's, all had first plied the same trade and used this same cover for their illegal activities. 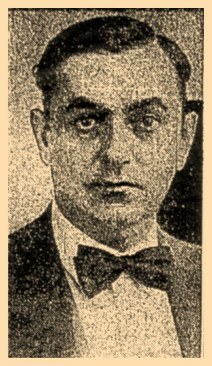 Angelo Genna has seen his name in Chicago newspapers as early as March 8,1921, when he was implicated in the death of Paolo Labriola (Paul) . 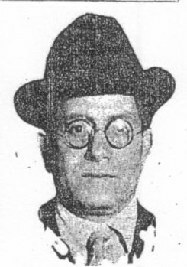 Labriola was a precinct captain and henchman under 19th Ward Alderman John Powers. The murder was seen as politically motivated and the rival (Anthony D'Andrea) political camp was assumed involved. The Gennas had backed D' Andrea and were his muscle. Some threw it over to the Black Hand or mafia being assassinations involving the Sicilian element. Labriola was not known as an angel and was involved in other shootings. As lieutenant to Powers, he had planned on ascending to the aging Power's throne, much to the dismay of D'Andrea. Paul A. Labriola, Powers' political muscle and aspiring Alderman. On March 15,1921, Genna gangsters Sam Ammatuna and Frank Gambino are picked up and indicted on being part of the shooters that killed Labriola. 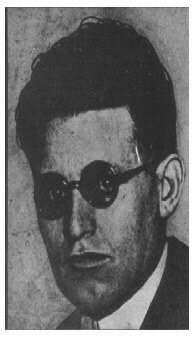 May 5,1921, Angelo Genna is picked up for the murder of Labriola. May 9,1921, Ammatuna and Gambino are set free for lack of proof. 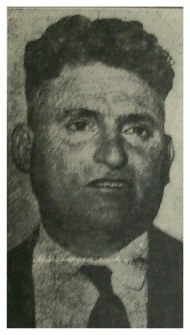 On May 11,1921, D'Andrea is shot and killed probably in revenge to Labriola's murder.As with most of the political Sicilian killings, they were unsolved, the charges were pushed under the rug and paid to go away. On October 7,1921, Angelo Genna was acquitted of the Labriola murder charge. 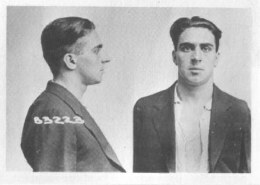 November 25,1921, James Genna is arrested in connection for the murder of Nicola Adamo. Adamo had told his wife that if anything should happen to him, James Genna would have a hand in it. James Genna provides and alibi and is released. 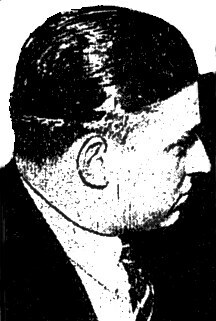 March 16,1922, Angelo Genna is picked up at the Italian American Educational club for the murder of Paul Notte. It is believed that Genna killed Notte in revenge for his friend Nicola Maggio's murder. Genna is arrested with $700 on him. Angelo Genna in police custody for questioning. 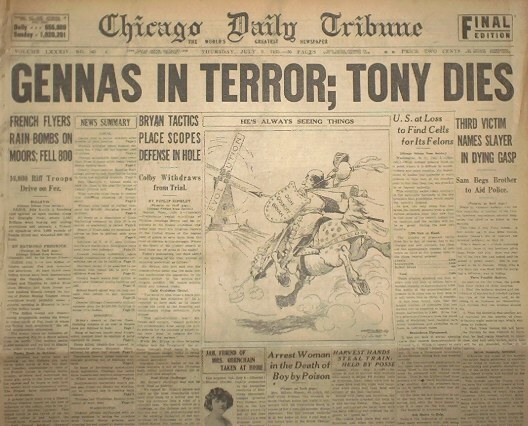 March 18,1922, Tony and James are freed of the Notte murder. June 22,1922 , Angelo Genna on trial for the Notte murder is set free by the judge for lack of evidence. 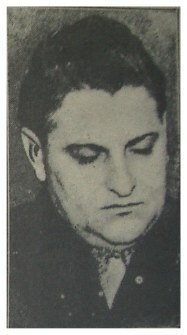 It is stated that the dying Notte was under the influence of drugs when he named Genna as his murderer. August 11,1922, Police are on the lookout for Angelo Genna who has now threatened a 15 year old girl testifying against his friend Philp Maltese for white slavery. Maltese had transported Genevieve Court for immoral purposes into Milwaukee where she was mistreated by Maltese. Charged with the Mann act Genna had made death threats to her to try to disuade her from testifying against Maltese. On November 17,1922, Angelo Genna is convicted by a court of making death threats. It is believed that finally the 19th Ward hired killer will go to prison since having been freed on two previous murder charges. 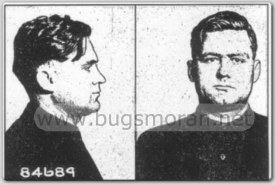 On November 19th, 1922, Angelo disappears and Judge James Wilkerson, (same who sentenced Al Capone for income tax evasion) sends orders to U.S. Marshals and police to find and arrest Genna for his conviction for death threats to a young girl. 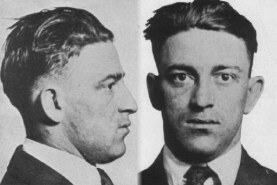 December 18,1922, Angelo Genna, while appealing his Mann act death threat conviction at the Federal court building, is arrested by detectives after being named as a stolen goods fence for a gang accused of killing Handsome Joe Lanus. Angelo is released on $15,000 bonds. A happy Genna family gathering. Left to right Sam, Angelo, Peter, Tony and James. This photo was taken at James Genna's 925 Lakeside Place home in April of 1924. Mike Genna is not in the picture. On January 29,1923, After many appeals, Angelo Genna and Philip Maltese are sentenced to a year and a day in a penitentiary. Their attorney (Bejamin Epstein), plans to once again appeal the decision. Angelo serves out his term at Leavenworth prison. 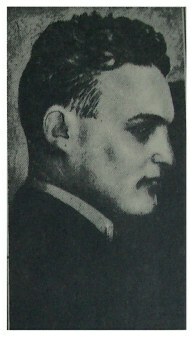 As of the second week of November 1924, the Gennas bcome the target of the Northsiders for having a hand in the assassination of their bloved leader Dean Charles O'Banion. The Gennas are getting it from all sides. Many in the Sicilian community, especially the criminal one feel that the Gennas are weilding way too much power and wealth. Many are happy to see them go one by one, thus giving a chance to aspiring up and coming sicilian gangsters. Genna gangster Ammatuna will try to branch out on his own, Scalise and Anselmi already are turning over to the Capone side. Many Genna sponsered loyalists such as Spano are betraying their bosses. Their decline begins with Angelo's murder. Vincent "Schemer"Drucci, George"Bugs" Moran and Earl "Hymie" Weiss were believed to be the killers of Angelo Genna. After Angelo's murder, Moran and Drucci will later be shot and injured while in their car by Mike Genna, Aberto Anselmi and John Scalise in another drive by attempt. On May 26,1925, Angelo Genna is riding in his automobile when a touring car is gaining speed on him. Angelo recognizes the occupants and immediately steps on the gas. A carload of Northsiders are on the hunt. Inside Moran, Drucci and Weiss are armed to the teeth. They begin firing as Angelo's car careens into a light pole at Hudson and Ogden. For good measure, the Northsiders keep firing over a dozen shots into Angelo defenseless body. He is immediately transported to the Evangelical Deaconess and is operated on. While this is transpiring ,Sergt. Roy Hessler leans over Genna's dying body and telling him that he is going to die, asks him who shot him. Following the Sicilian code of "Omerta" he says nothing. These were the rules of the game accepted by every Chicago gangster. This was the Chicago way or Chicago amnesia. 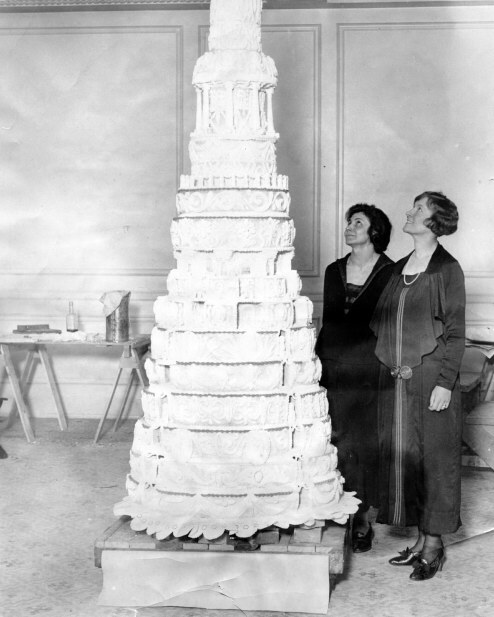 Angelo Genna and Lucille Spignola's $2000 wedding cake consisted of 400lbs of sugar, 400 lbs of flour, 7 cases of eggs, 50lbs of butter and 6 buckets of flavoring. This photo was taken at Ashland Boulevard Auditorium where Angelo and Lucille were married. Lucille, his new bride, has time to call him sweetheart . He responds by shaking his head in acknowledgement. By the time his older brother Sam arrives, Angelo was dead. At 2 pm, an inquest was held at Michael Iarussi 's undertaking establishment at 761 Taylor street. His brothers and bride Lucille Spingola all had nothing, but nice things to say about their beloved Angelo. He had no enemies and was loved by everyone. Angelo and Lucille applied for a marriage license on the 13th of December 1924, and were married on January 10,1925. 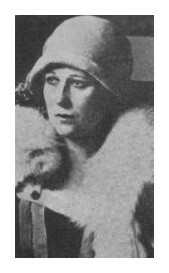 The 22 year old bride was the sister of Henry Spingola, a wealthy Sicilian businessman / lawyer who is later killed in 1926 for refusing to cough up defense money for Genna ex- gangsters Anselmi and Scalise, who will go on trial for killing two policemen in a shootout. They had had a huge wedding ceremony and reception with 3000 guests and the city's largest wedding cake weighing almost 2000 lbs. 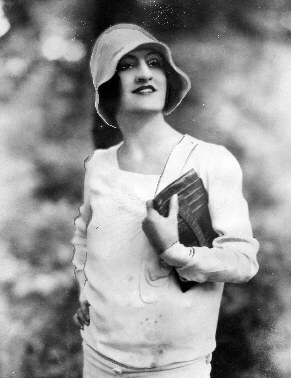 Lucille Spingola, Angelo Genna's bride. When Angelo died the police found a little black book with entires of alcohol transactions from Philadelphia. Lucille said she didn't know anything about this business or his affairs. They both were living at the Belmont hotel and were preparing to move into their new home at 417 South Taylor avenue in Oak Park. He was only 27 years old. 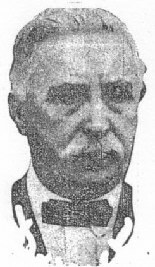 On May 26, 1925, Angelo Genna is killed at Ogden and Hudson avenues. Angelo Genna's car crash and murder scene today at Hudson - Menomonee. Ogden ave which Genna was driving on has now been built over. ( Photo courtesy of Mr. Larry Raeder). Angelo's funeral is a big one. Several hundred people attend. His funeral spared no expense and was intended to belittle Dean O'Banion's previous $100,000 funeral. He is laid out in a massive $6000 bronze casket weighing 1,200 pounds and surrounded by $75,000 worth of flowers mostly from Schofield's. Capone sent lillies, Diamond Joe esposito sent peonies, Torrio, who was in a Waukegan jail had sent a huge vase with pink and white carnations. There was also a floral tribute from his pal Samoots Ammatuna. At 10:00 am, traffic is completely blocked on Taylor street. Michael Iarussi 's undertaking establishment is jammed with pallbearers and members of Chicago's Unione Siciliane. Included in the mix was fifty policemen, politicians, lawyers, doctors and labor union officials. At 10:30 am, Father Ciufoletti, ( who married Genna) says a few brief prayers as requested by the family. Unione Siciliana members attend Angleo Genna's funeral. 31 limousines and the hearse carrying his 195 pound body covered in a royal purple robe, makes it's way to Mount Carmel. Once there, his casket is placed in a temporary vault. It will later be placed in a mausoleum being built for the Genna family at the cemetary. 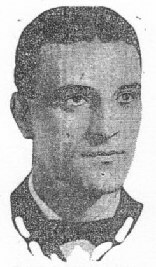 June 13,1925, Mike Genna is killed at 59th Street and Western Avenue by police after he and his fellow gangsters (Anselmi and Scalise) shoot and kill officers Walsh and Olsen. SEE ANSELMI AND SCALISE They had previously had a shoot out with the rival northside gang. 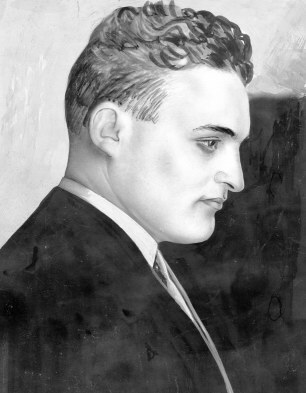 The Northsiders believed that the Gennas had something to do with O'Banion's death and the Gennas in turn, believed that the Northsiders had killed Angelo Genna in his car. Inside the basement at 5941 Artesian. 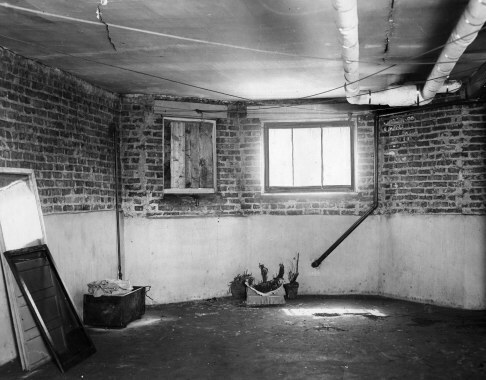 Blood on the floor can be seen at the right. 5941 Artesian and what it looks like today. Although the family planned a lavish send off for him, Mike Genna's funeral is quick and quiet because of the two policeman killed in the shootout with Genna. Police put the word out that they will arrest any gangster attending. No gangster wants to be seen or identified at his wake and connected with the crime. 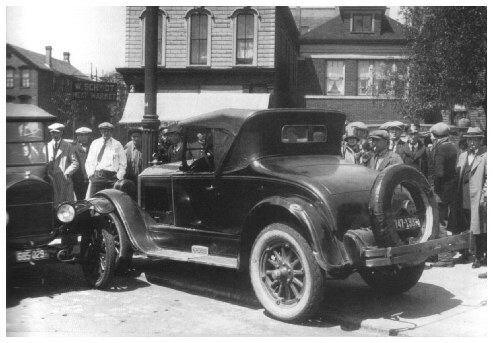 Tony Genna is killed at Grand Avenue and Curtis street on July 8,1925. He is seen meeting up with a man, one who shakes his hand and two others who appear and fire several shots into him. He lured Tony Genna to his death spot. 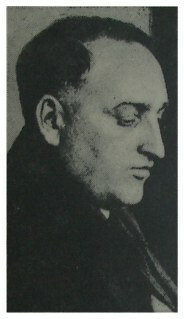 Genna turncoat Spano is later killed on August 26,1926, by one of the Aiellos for a previous transgression against them. His body is shipped back to Sicily. Tony is rushed to hospital and lingers long enough to let his brother Sam know that il Cavalero had a hand in luring him to his death spot. Cavalero turned out to be Tony's bodyguards and friend Antonio Spano, who doublecrossed Tony by having him meet him at Curtis and Grand. Tony would have never showed up there had Moran and Drucci requested it. He did show up for his friend "The Cavaliere", who greeted him with hand out stretched calling him my friend. Tony trustingly shook his hand just before being shot in the chest and abdomen by two killers who crept up from behind. Sam Genna goes to the morgue to claim his brothers body for burial. 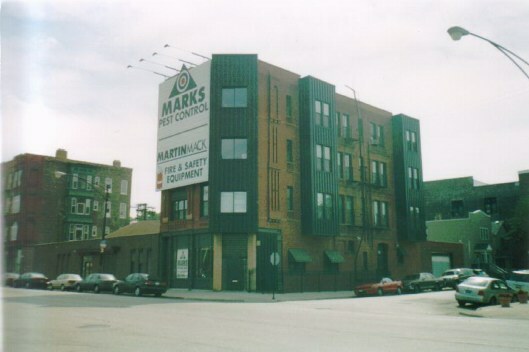 Fred S. De Cola undertaking rooms at 1158 West Grand Avenue. It was here where Tony Genna's body was embalmed. 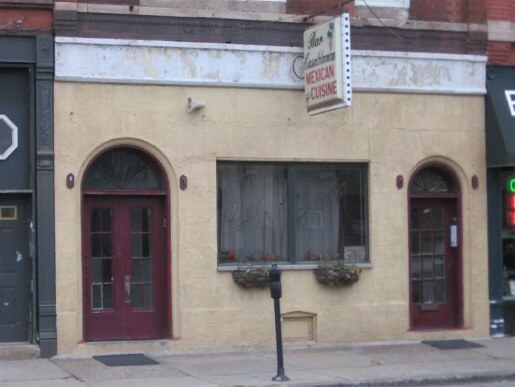 It's now a Mexican restaurant. His funeral is a modest and secrective one without the previous grandeur of his brother Angelo's wake. No pallbearers, no weeping women. Only two floral pieces, one from a relative and the other from his brothers. His $5,000 casket is placed in a vault. None of his brothers are there. His sweetheart Gladys is there weeping. Cardinal Mundelin had refused the family Catholic funeral rites for Tony because he was a slain gangster. Spot at Curtis and Grand where Tony Genna was shot. (1) shows where Tony was standing (2) shows where the pistol was dropped and (3) shows where the killers flee. 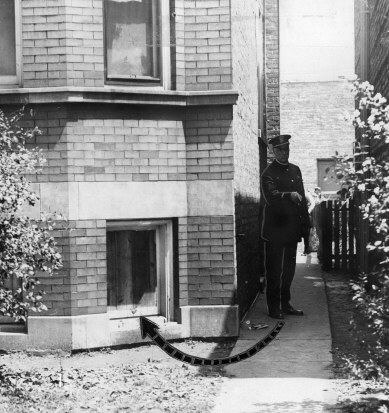 Tony Genna's 1925 murder scene today at Grand-Aberdeen. Tony Genna was a shrewd building contractor and Architect. In this profession, he could have amounted to something honorable,but the lure of fast cash and power utimately won over his mind as a way of life. At the time of his death, Tony was worth $100,000. He possessed real estate worth $33,250 and his personal property was estimated at $77,060. Tony had a grilfriend named Gladys Bagwill whom the rest of the Gennas disliked. She was a minister's daughter and Tony was planning on marrying her if he had not died. The only reason the rest of the Genna family did not like her was because she was not Italian. Tony was an intelligent aristocratic type of fellow, and his building abilities had led to having his mark on most of the homes being built at 55th and Troy streets. 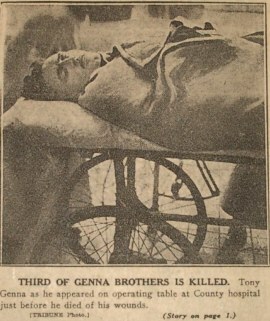 Tony Genna the third of the Genna gang is shot and dies. Chicago Tribune July 9,1925. (Mario Gomes collection). 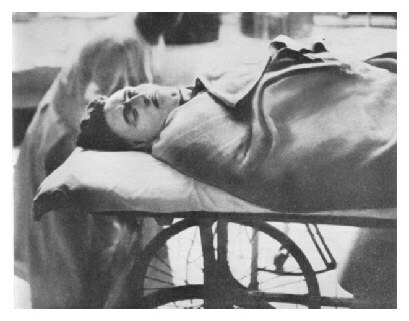 Photo of Tony Genna taken while dying on a gurney at County hospital, and the same photo in the Chicago Tribune of July 9,1925. (Left wire copy photo from the San Francisco call Examiner, and right shot from my Chicago Tribune newspaper collection). Tony Genna's autopsy performed by Drs. Mailer, Klier, and Schecter being supervised by Chief operator Dr. Kellogg Speed. First week of January 1926, James Genna is arrested in Rome, Italy for stealing Madonna Di Trapani church jewels. James had returned to Italy via Paris, with John Torrio, after making a fortune from the Genna alchohol business. He had seeked peace there form the Chicago gang warfare that had killed three of his brothers. After spending loads of money in Itallian night clubs as a man about town and living in Via Monte Grappa, James made a plan after going back to Sicily to steal the famous jewels. He got caught and ended up doing a couple of years of hard labor in a jail at Favignana, and was later released in 1928 -29. March 19,1929, Lucille Spingola and her family are robbed at gunpoint by three bandits. She is tricked by one of the bandits in claiming he had a real estate propsition for her. Lucille, her father and sister are forced into a closet while the bandits make off with clothing and jewelery worth $8,000. Lucille had returned to her father's home after Angelo's demise and used her maiden name once again. Once upon arriving back into Chicago from his native Italy, James Genna has ideas of getting back into the gangster game. 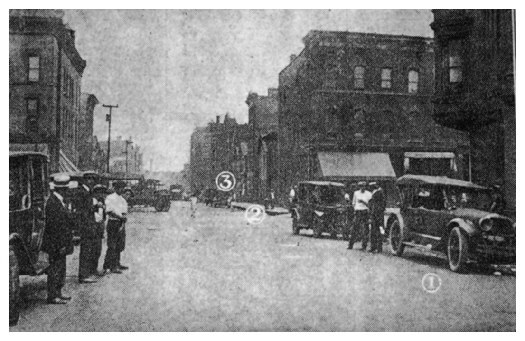 On May 31,1930, James is car riding with four old Genna gang members. A large sedan pulls up alongside them and pours a volley of shotgun and revolver shots into the Genna car killing Philip Gnolfo and wounding two others. James gives up in trying to muscle in on his old Chicago Westside territory (where the Gennas where once kings), and flees to Calumet city. On the night of July 15,1931, a huge crowd gathers outside a wall at 1105 South Ashland. A shadow cast upon the wall from a lighted window at 1023 South Ashland appears as the Virgin Mother Mary and her child. Over 7,000 people gather trampling lawns and on rooftops. Hotdog vendors and pickpockets both tend to the massive crowds. 400 Policemen are called to the scene. Investigators knock on the door of the light eminating room and Sam Genna opens the door. They tell him of the "Miracle" and he grunts without cordiality "I don't know nothing. Get out!" Police go inside to see for themselves the cause of this apparition and quickly find out that it is merely the physics of the street lamp reflecting against Genna's window blind that casts this Holy looking apparition onto the wall. Police quickly disperse the crowds. On November 8,1931 James Genna dies of natural causes (Heart disease). His health had deteriorated for some time. 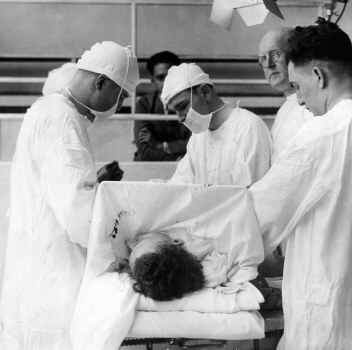 On May 13,1948, Peter Genna, the second to last of the Chicago Gennas, dies at the age of 67 in Columbus Hospital after being ill for a month. He left a widow and three sons. On December 20,1951, Sam Genna, the last of the Chicago Genna brothers, dies in his home at 865 Blue Island Avenue also at the age of 67. He had suffered a heart attack. He left a wife, two sons and a daughter. 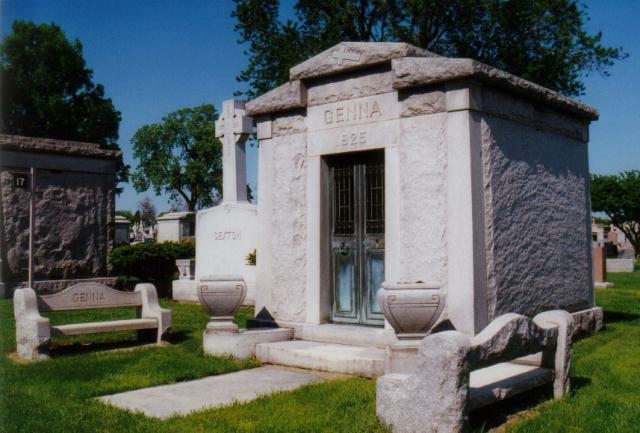 The Genna family mausoleum in Mt. Carmel cemetary.